And you’re covered with the fingerprints of God. 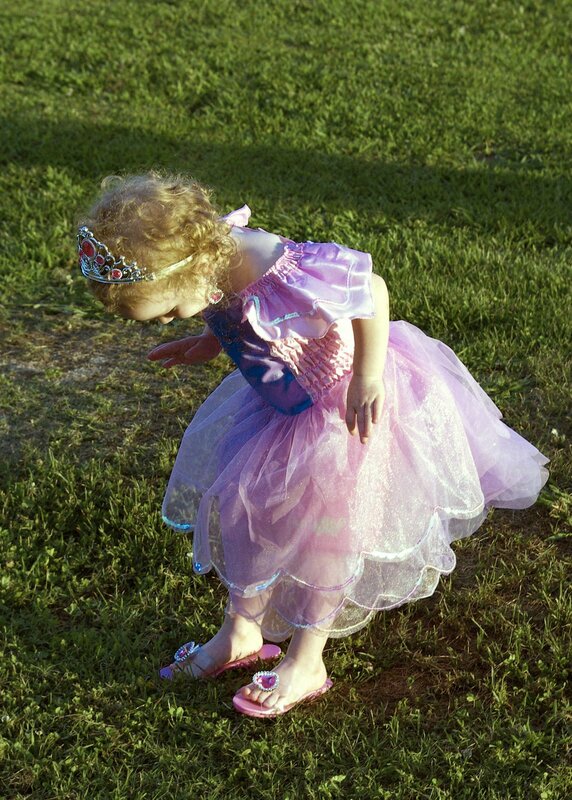 I see God’s fingerprint in a little girl playing dress-up in a princess dress for the very first time! So excited and feeling so beautiful that she has to look herself over from head to toe to believe it’s really she! This picture made me pray that she would feel that beautiful each day no matter what she was wearing because to me she is always beautiful and I know that her Father above sees her that way! Oh is this picture beautiful!! You can just see her glee! Truly she is one of God’s Fingerprints! !Happy Friday! Enjoy every fingerprint you see! Oh, I love the thought and I agree..No matter what, she will always be beautiful in God’s eyes..and I think she is beautiful in my eyes too..
What an absolute PRINCESS!! She’s a doll and God’s fingerprints are just allllll over her. Completely precious. Thank you for participating!